Calling all aspiring chefs! This creative program for young people conveys basic culinary skills and the how-to’s of tasty, seasonal ingredients through the creativity of cooking. Students work together as they gain culinary experience and develop confidence in their own cooking abilities. Our Cultivating Cooks youth classes cover all the basics, including kitchen safety, culinary equipment, knife skills, and some foundational preparation techniques. Classes are infused with topics like: how unprocessed foods sustain life; food preservation techniques; using energy efficient alternative cooking methods; and how to find and select locally-grown ingredients. 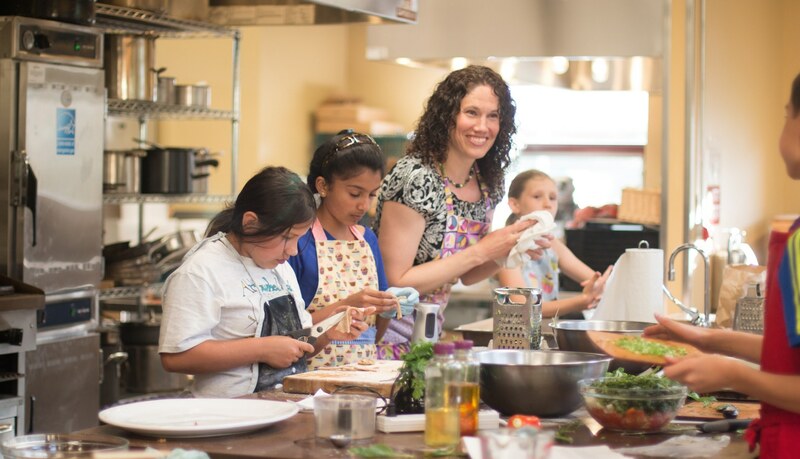 All of our Cultivating Cooks classes emphasize the importance of local food, small farms, and seasonal ingredients. We offer classes for kids of all skill-levels! Check individual class descriptions to determine their level of difficulty and for information on any pre-requisite skills or experience.